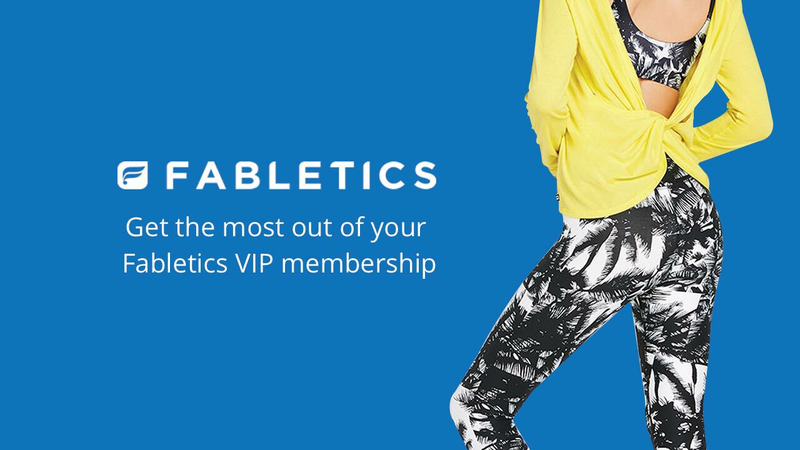 Learn the ins and outs of Fabletics' VIP Membership subscription service. As foot traffic in malls and brick-and-mortar stores continues to decline, a rising trend of product subscription services is trying to guarantee sales from stay-at-home consumers. One of the services that's popularizing the monthly purchase model is Fabletics, a lifestyle athleticwear brand that promises a personalized shopping experience, launched by actress Kate Hudson in 2013. With both an online presence and physical stores in select locations, navigating the high prices of Fabletics premium clothing can be a bit overwhelming. But don't worry, Slickdeals is here to show you how to take advantage of Fabletics' VIP membership, which gives you access to steep discounts. Curious how Fabletics clothes fit? Read our hands-on review HERE. Fabletics is a member-based online store (they do have some brick-and-mortar locations) for fitness clothing and accessories. You do not have to be a member to shop there, but if you aren’t, you will pay much higher prices. If you join as a VIP member, (which is the only kind of member,) your first outfit is highly discounted and will cost around $25. You also get much lower prices on individual items your very first order, so choose wisely. The current new-member offer is two pairs of leggings for $24. For our example purchase, the first pair normally retails for $39.95 ($44.95 for non-VIP members) and the other pair goes for $49.95 ($79.95 for non-VIP members.) A savings of $65.90! The first step in becoming a Fabletics VIP member is completing a lifestyle quiz, where it will ask you about your fitness routine, gym/studio preferences, body type, and favorite colors. Based on these answers, Fabletics will curate a selection of products that best fits your lifestyle. How Much Does the Fabletics VIP Membership Cost? After your initial purchase as a VIP member, you'll be eligible to purchase an outfit (top, bottom, and/or sports bra) starting at $49 each, every month. There's no cost to become a VIP member, but you must take an action every month -- buy an outfit or skip the month. If you do not take any action, you will be charged $49, which becomes store credit. Here’s a helpful video from Fabletics that explains the process in more detail. Even though you skip a month and forgo an outfit, you can still take advantage of VIP membership pricing to purchase any item in the store. You can continue to skip months without consequence, while keeping your access to the discounted prices. Fabletics will email you on the first of every month, reminding you to take your VIP membership action. You must either spend at least $49 to buy an entire outfit or you can skip the month, so long as you do it by the 5th of the month. This is the requirement of being a VIP member regardless of when you first subscribed. If you joined on the 31st, you'll be required to make your monthly action in 5 days, so we recommend joining the Fabletics VIP membership towards the beginning of the month. If you forget to skip and don’t place an order, your card will be charged $49 on the 6th of the month. This money will be waiting in your account as a credit, but it can only be used after you've completed next month's action (outfit purchase or skip). For example, if you have a $49 credit and want to buy next month's $49 outfit, you'll be using your own money first before you can start spending your store credit. The best way to access your credit is to skip the month (which satisfies your monthly required action) and then buy individual items with your store credit. Like many subscription-based sites, there are additional ways to save money. If you refer friends, and they become VIP members, you get $20 for each friend who signed up. Also, you get points added to your account after your order ships and for leaving reviews, so why not share your opinion? You earn 20 points for every review and 2 points for every dollar you spend. These points can be traded for items like water bottles, yoga socks, and headbands at the 300 level. If you bank 700 points, you can choose from a variety of sports bras or tanks. 2000 points will get you shorts, leggings, or a t-shirt.